The CTL offers professional development programs and events to connect Columbia faculty and instructors to effective teaching approaches, resources, and instructional technologies. The Center offers programs ranging from standalone workshops and workshop series to immersive multi-day institutes and semester-long seminar programs. Visit the CTL Events Calendar to browse all upcoming events for faculty. Download a flyer to see an overview for this semester. Coming soon! Faculty can request in-person consultations to get support for their teaching and learning needs throughout the year. Faculty interested in developing new teaching approaches, applications, and skills with hands-on guidance from CTL staff can apply to participate in semester-long seminar programs and multi-day immersive institutes. The Teaching Hour series aims to foster a teaching community among Columbia’s underrepresented and diverse faculty population. Faculty can request teaching observations to receive individualized feedback on their teaching. Faculty can kick off their semester by attending teaching orientation to learn evidence-based strategies they can implement on the first day of class. 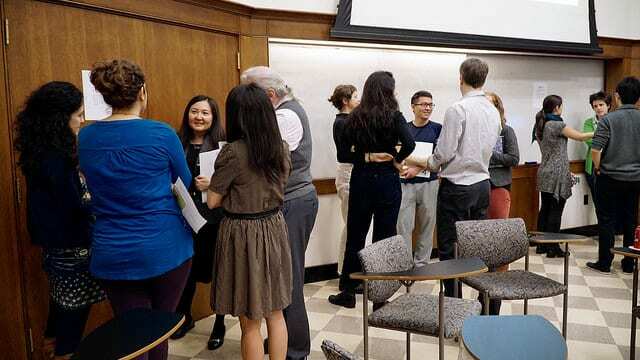 Teaching orientation introduces new faculty to the Columbia teaching culture but is also applicable for more “seasoned” instructors looking for a refresh. Faculty can explore topics related to teaching, learning, and instructional technologies by registering for 1-2 hour workshops. Workshops To Go is an on-demand offering for departments or programs that wish to host a short pedagogical workshop for their faculty.